SoftBank Team Japan has selected Harken as an Official Supplier of technical equipment to its campaign for the 35th America’s Cup. Harken is responsible for supplying winches, pedestals, blocks, and key hydraulic components to the syndicate. The multi-national SoftBank Team Japan is led by America’s Cup skipper Dean Barker and General Manager and bowman Kazuhiko “Fuku” Sofuku. Harken is honored to be working with this talented and dedicated group. The Louis Vuitton America’s Cup Qualifiers will be held from 5/26 – 6/3/17 in a round robin elimination series between the six challengers. The top challenger will meet the defending champions Oracle Team USA in the 35th America’s Cup match beginning on June 17, 2017. 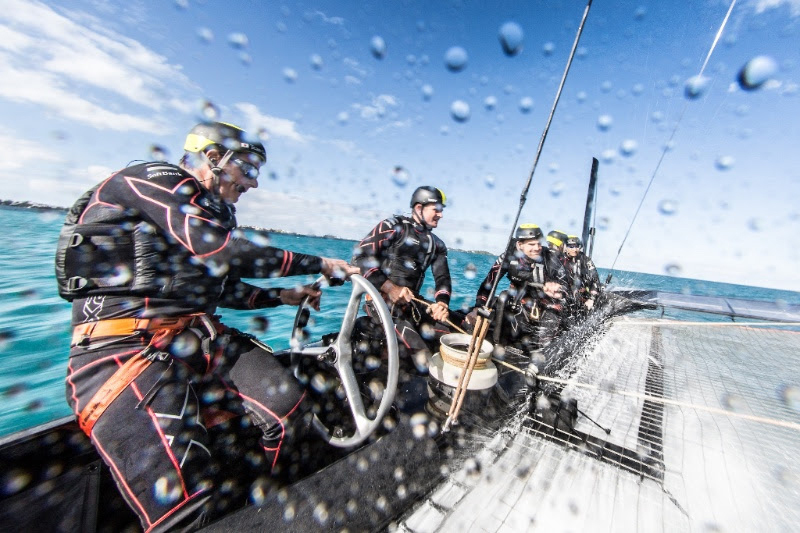 The races will be conducted in 48′ wing-masted foiling cats on Bermuda’s Great Sound.